5 Nights accommodation at the hotel mentioned above or similar category of alternate hotels. Daily Buffet Breakfast, 4 lunches and 3 dinners. ​Services of Accompanying English speaking Guide from Day 02 to Day 06 entire tours. ​Full day city tour of Old and New Delhi + Rickshaw Ride. ​Full day city tour + Elephant Ride at Amber Fort + Tuc TucRide. ​Half day city tour + Visit to Fathepur Sikri + Tonga Ride + Visit to Mother Teresa Ashram. ​Entrances to the Monuments in the cities where sightseeing. ​Enroute from Delhi to Jaipur lunch at Samode Place in Samode. ​Dinner at Narain Niwas Palace in Jaipur with Rajasthani Folk Dance. ​Kingdom of Dreams in Delhi entrance fee. ​Dinner at Kingdom of Dreams in Delhi. ​Representative for assistance on arrival and departure transfers. ​1 liter Mineral water per pax per day. ​All currently applicable taxes including service tax. ​Road taxes, parking fee, fuel charges, interstate taxes. ​International or Domestic airfare / Train Fare. Arrive Delhi International Airport, you will be met, greeted and assisted by our representative and transferred to your hotel. 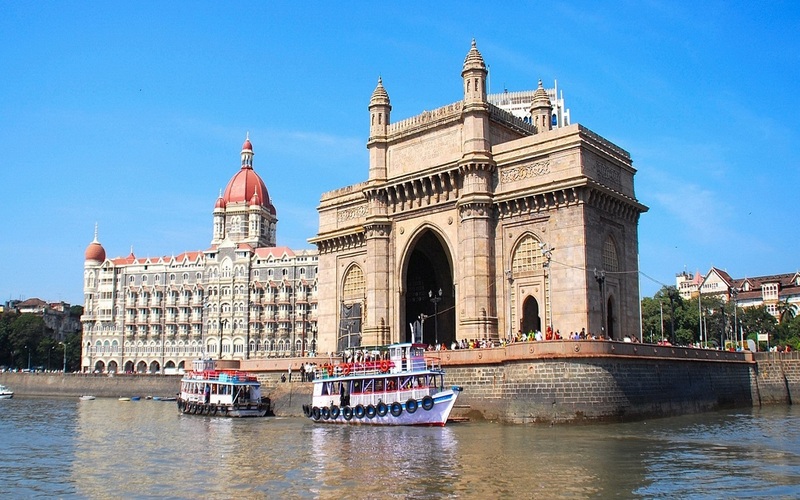 India’s capital and a major gateway to the country, contemporary Delhi is a bustling metropolis, which successfully combines in its folds - the ancient with the modern. Amidst the fast spiraling skyscrapers, the remnants of a bygone time in the form of its many monuments stand as silent reminders to the region’s ancient legacy. The first impressions for any visitor traveling in from the airport are of a spacious, garden city, tree-lined with a number of beautiful parks. Overnight at Hotel. 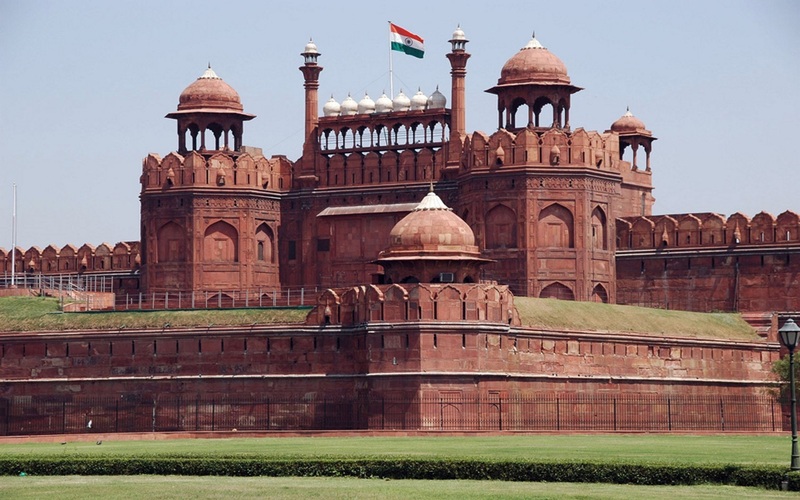 After breakfast, you will enjoy a full day sightseeing tour of Delhi. Begin with Old Delhi, the Mughal Capital of Shahjahanabad. Visit the Jama Masjid – is the principal mosque of Old Delhi in India. Commissioned by the Mughal Emperor Shah Jahan, builder of the Taj Mahal, and completed in the year 1656 AD, it is the largest and best-known mosque in India. It lies at the origin of a very busy central street of Old Delhi, the Chawri Bazar Road. The mosque of Friday was built from 1644 to 1658 during the reign of Shahjahan. The mosque which measures 65m on 35m, and whose court forms a square of 100m on a side is by its surface the greatest religious construction of Islam. Later we proceed to visit Raj Ghat where Mahatma Gandhi – The Father Of Nation, was cremated and drive pass the Red Fort[ from outside] - the palace for Shahjahan new capital, Shahjahanabad, the seventh Muslim city in the Delhi site. Wander in the busy streets of the mile-long Chandni Chowk, popularly called “The Silver Street”. Enjoy the ‘Cycle Rickshaw’ ride in Old Delhi. Lunch. Afternoon proceed for a tour of New Delhi, which reflects the legacy the British left behind. The division between New and Old Delhi is the division between the capitals of the British and the Mughals respectively. The division in the walled city and New Delhi also marks the division in the life-styles. The walled city is all tradition where one will be able to glean a past life-style in all its facets, colors and spells. New Delhi in contrast, is a city trying to live up to the best of 21st century standards. The tour to Imperial Delhi will start by visit to the Qutab Minar, the tallest stone tower in India. The Qutab Minar was started in 1199 AD by Qutab-ud-Din Aibak and completed by the sultan's successor and son-in-law, Iltutmish. The building is 72.5 m high and has 379 steps from the bottom to the top. The Minar is tapering with the diameter of the base is 14.3 m while at the top floor it is 2.7 m. The Qutab Minar is still the highest stone tower as well as one of the finest Islamic structures ever raised in India. Then visit Humayun’s Tomb, built by the widow of the second Mughal Emperor, Humayun, it is an outstanding monument in the Indo-Persian style, a precursor of the Taj Mahal. The tour also includes a drive past the imposing India Gate, the Parliament building and the Rashtrapati Bhawan, the President’s residence. After breakfast drive to Jaipur en route visit Samode for lunch. Samode, an hour’s drive from Jaipur, stands on a former caravan route. Today the sleepy village, with its local artisans producing printed cloth and glass bangles, nestles within its old walls. Samode Palace which dominates the village is fabulously decorated with 300-year old wall paintings, many of them depicting religious subjects. 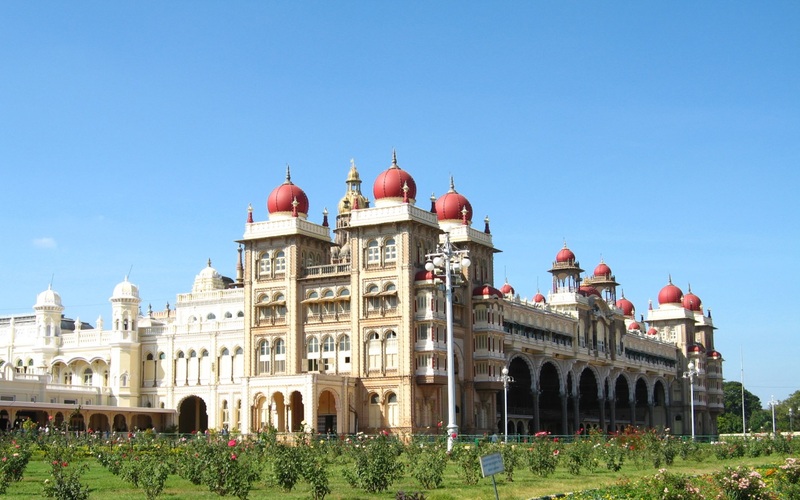 The highlight is a vast Durbar Hall with its original paintings and mirror work. Later continue to drive to Jaipur. Arrive Jaipur and transfer to your hotel. Jaipur - The capital of Rajasthan Jaipur - popularly known as the “Pink City “as the Pink sandstone was used to construct the buildings in the Old walled city. 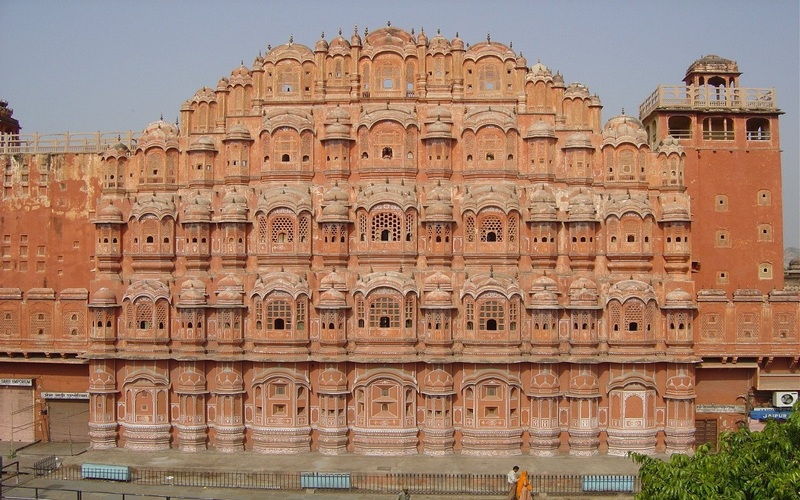 Jaipur (City of Victory) was founded by Maharaja Sawai Jai Singh II in 1727. It is the only city in the world symbolizing the nine divisions of the Universe through nine rectangular sectors sub-dividing it. The architect who formalized the city’s plans on the Shilpa Shastra, the epic Hindu treatise on architecture, mixed it with the sublimity of the Mughal and Jain influences of those times. The city was painted pink in 1853 in honor of the visit by Prince Albert. Except for the busy traffic of bicycles, cars, and buses, little seems to have changed. After breakfast proceed for full day city of Jaipur – visiting Amber Fort located at a distance of 11 kilometers from Jaipur and was the old fort of the Kachhwaha clan of Amber, which used to be the capital, till it was moved to Jaipur. The fort is built with white marble and red sandstone and looks even more attractive because of the Maota Lake in the foreground. The fort in itself is a beautiful sight to behold but as one looks on the fort with its clear reflection on the lake in the front; one cannot help but wonder if it is a dream or a beautiful illusion. An elephant [Subject to availability/alternatively by jeep] will spare you the trouble of reaching up to the fortress. Once on top, stroll through the sprawling complex of courtyards and halls. We visit Cenotaphs of Gaitor, the place chosen by Sawai Jain Singh II as the new location for cremations. Lunch and visit the City Palace, which is an overwhelming complex of exquisite palaces, gardens and courtyards, decorative art and carved doorways. The palace museum houses collections of rare manuscripts, armor, costumes, carpets and miniature paintings. Walk to the adjacent Jantar Mantar or Astronomical Observatory made by the Maharaja of Jaipur, built in 1726 and is one of the five such astronomical wonders built by Sawai Jai Singh and makes accurate predictions even to this day. You will also have the opportunity to wander about the local markets. 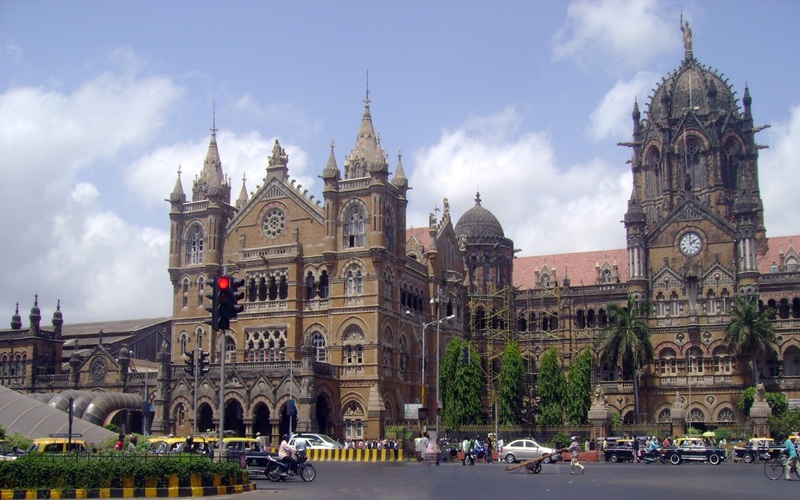 You enjoy the ‘Tuc Tuc Ride – Auto Rickshaw Ride in the market area. If you want, we can attend a session of astrology (quote not included.) Dinner and overnight at Hotel. After breakfast proceed drive to Agra en route visit Fatehpur Sikri - the deserted red sandstone city was built by the Great Mughal Emperor, Akbar, as his capital and palace in the late 16th century. It was abandoned soon after it was built when the local wells went dry and it remains today in much the same condition that it was over 300 years ago. It is complete with palaces and mosques and used to be a town larger than London when it was originally constructed. Now it is an extraordinary place to wander around with its buildings in near perfect condition. Lunch and later continue to drive to Agra; Arrive Agra and transfer to your hotel. Later visit The Agra Fort, an outstanding example of Mughal architecture. Agra Fort - the seat and the stronghold of the Mughal Empire under successive generations. This was the seat of Mughal rule. 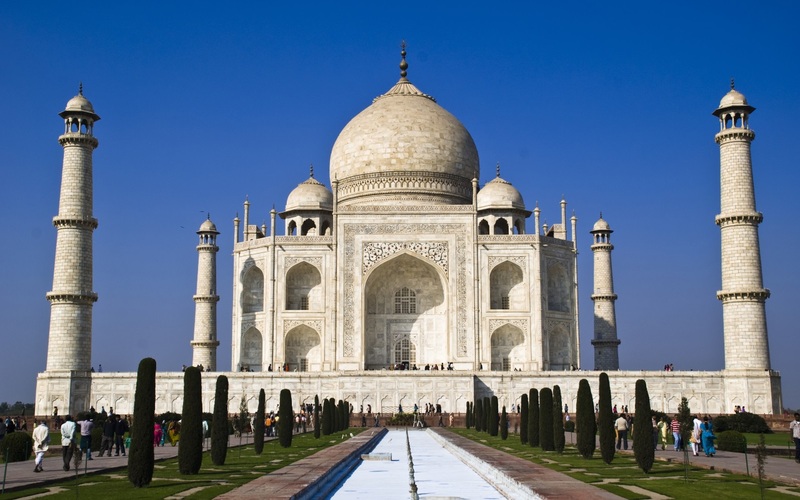 Shahjahan added the impressive quarters and the mosque while Aurangzeb added the outer ramparts. Visit its Hall of Public Audience and its Royal Pavilions. Besides the historical monuments, one can also explore Agra’s rich heritage of handicrafts in its markets. Also, visit the Ashram Mother Teresa de Calcutta and Itmad Ud Daula -This tomb was built in 1622 for Ghiyas Beg, father of Empress Noor-Jahan, the wife of Emperor Jahangir. It is beautifully conceived in white marble, mosaic, and lattice and set a precedent as the first Mughal building to be faced with white marble inlaid with contrasting stones. Sometimes also called 'Baby Taj', it is small, intimate and has a gentle serenity. Dinner and overnight at Hotel. Drive to Delhi. Arrive Delhi and visit Kingdom of Dreams (Closed on Monday) – As the name implies, Kingdom of Dreams is a spectacular world of unparalleled imagination, which brings to you a blend of India's culture, heritage, art, crafts, cuisine and performing arts buttressed with the mind-boggling technological wizardry of today. 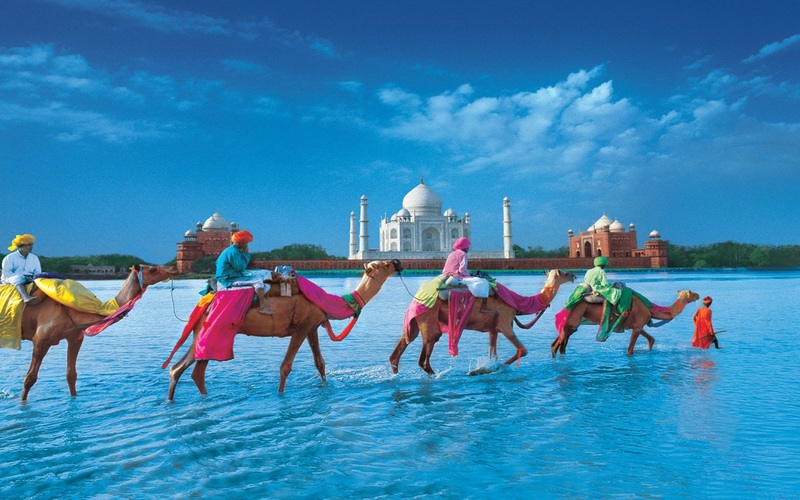 "A Magical, Mystical & Memorable Experience of India". Lunch. After your dinner at Kingdom of Dreams in time, you will be transferred to Delhi International Airport / Domestic Airport to board your flight to onward destination.